What does it mean if you are entitled to a discretionary bonus? Does this mean that you’re guaranteed a bonus, as the word entitled would suggest? Or are you subject to the discretionary whims of your employer? Despite the enticing promise of entitlement, your receipt of a bonus and its amount is most likely at your boss’s discretion. Bonuses can be an exciting windfall or an important part of your compensation package. Maybe this year was especially profitable and your boss wants to give you some extra cash around the holidays. Or maybe a 15% bonus was guaranteed on top of your salary as a contractual benefit. Whatever the case, bonusses and your entitlement to them will be set out in your employment contract. Most often, bonuses are discretionary. Bonuses are commonly awarded as a token acknowledgement of an employee’s performance or to share the success of a company. There is generally no set formula or procedure for calculating a discretionary bonus. Their amount and frequency are up to your employer. Other times, bonuses make up an important part of an employee’s compensation package as outlined in their employment contract. In such instances, bonuses can make up a significant part of an employee’s annual earnings. The parameters of these bonuses – how they are calculated and awarded – will be set out in the employment contract. 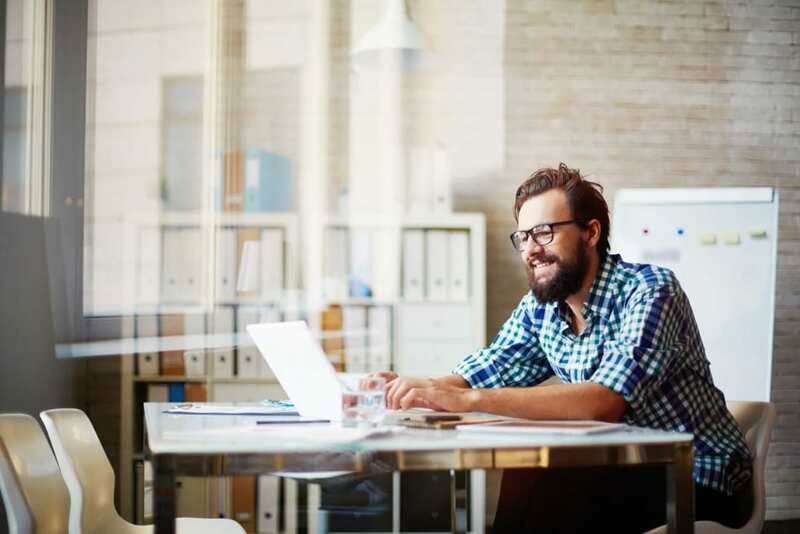 Unfortunately, wording regarding bonuses in contracts is often vague and this can leave employees wondering if they can count on extra cash in addition to their salary. It is important that bonus clauses are clear and consistent with the expectations of both parties. Being told that you can expect bonuses of 25% of your salary is no guarantee that you will unless this is clearly stated in your contract. Obviously, a discretionary bonus is to the advantage of the employer. A discretionary bonus allows employers to adjust according to their business’s financial situation. If the economy is rough, the employer can forgo distributing bonuses altogether and if the business is thriving, they can share that success with their employees. On the other hand, non-discretionary bonuses must be distributed as directed in the employment contract regardless of the company’s financial situation. As such, they can be an effective means of attracting top talent. Either way, bonus entitlements should be laid out clearly in the employment agreement. If brought before a judge, ambiguous wording regarding bonus entitlements will generally be ruled to the benefit of the employee. 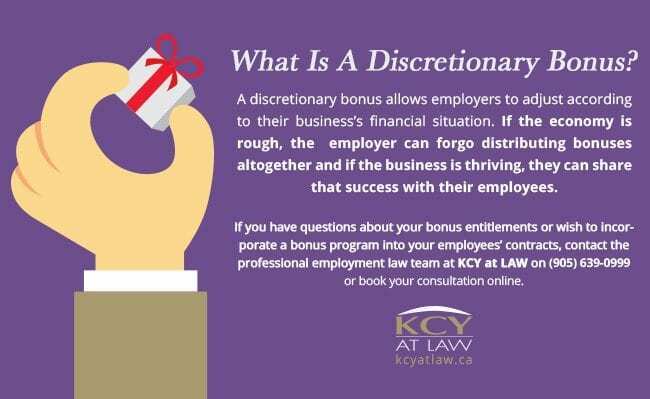 If you have questions about your bonus entitlements or wish to incorporate a bonus program into your employees’ contracts, contact the professional employment law team at KCY at LAW: (905) 639-0999 or book your consultation online. https://www.kcyatlaw.ca/wp-content/uploads/2017/08/Guide-To-Bonus-Packages.jpg 922 1382 Kathy Chittley-Young https://www.kcyatlaw.ca/wp-content/uploads/2018/01/KCY-at-LAW.svg Kathy Chittley-Young2017-08-23 17:00:072019-03-08 17:26:56Guide To Bonus Packages: Discretionary Bonus or Not?